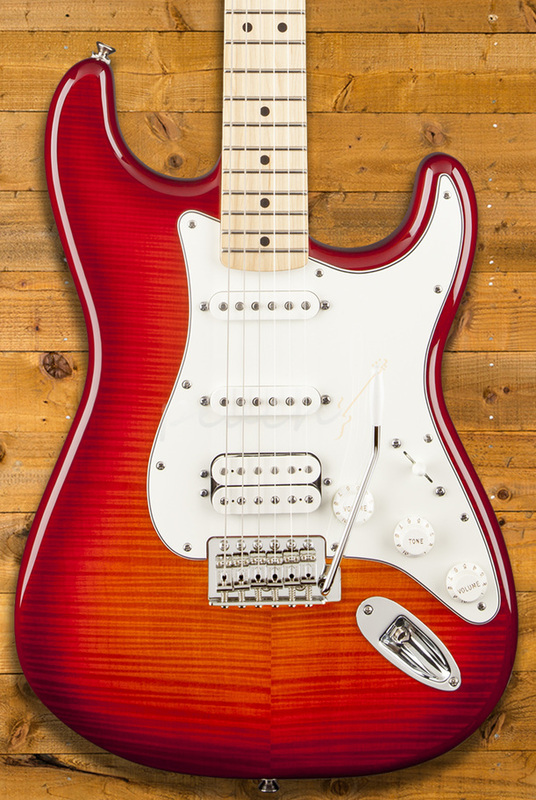 Really stunning new Fender Mexican Standard Plus Top HSS Strat that has bags of versatility and killer looks. 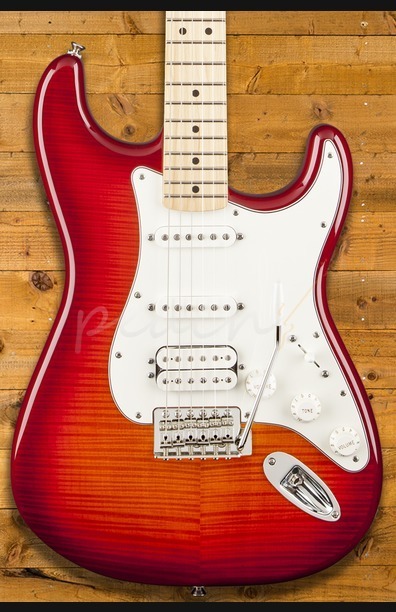 "The Standard Stratocaster HSS Plus Top delivers famous Fender tone and classic style, with the added elegance of a flame maple top on the alder body. 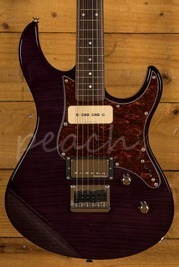 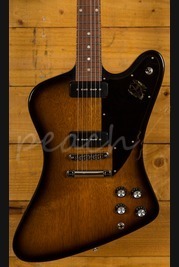 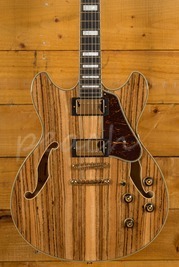 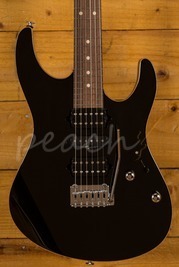 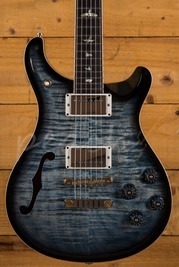 Other features include single-coil neck and middle pickups, humbucking bridge pickup, tinted maple neck with modern "C"-shaped profile and satin urethane back finish, rosewood or maple fingerboard with 21 medium jumbo frets and 9.5" radius, three-ply parchment pickguard and parchment control knobs, vintage-style synchronized tremolo bridge and '70s-style headstock logo."